Robert Dennis was born in Kirkland Lake in 1938 where he attended Central Public School and Kirkland Lake Vocational Institute (KLCVI). He started his career as a radio operator with the Department of Lands and Forest (now known as the Ministry of Natural Resources) in 1956. In 1960, he transferred to Matheson to work on forest management projects and forest fire fighting. Having completed Dorset Forestry School and Forest Management courses in 1962 and 1966, Bob managed all the forest management field operations on three management units in the Matheson area until he retired from the MNR in 1992 as a Senior Forest Management Technician. Bob was recruited to the MICs Board of Directors for the Bingham Memorial Hospital in 2014 as treasurer. He served one year in that position and was elected Board Chair in 2015. 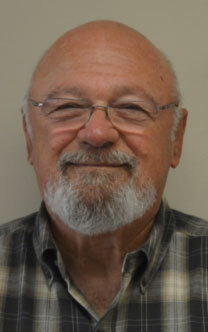 Bob also serves on the Board of Directors for the Kirkland Lake Community Development Corporation (KDCDC). 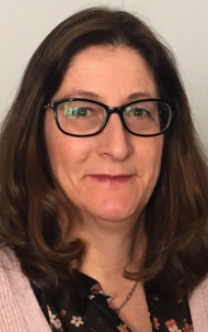 Recently retired as a principal with DSBONE, Danielle Delaurier has 30 years of experience in the field of education. During her career, she served as teacher, guidance counsellor, vice-principal and principal. Additional leadership roles included President of her Federation, department head and mentoring younger teachers. She has also served on the boards of many organizations including IFMHA, IFCC. Danielle completed her undergrad at the University of Waterloo and has a Bachelor of Education from Ottawa University. Throughout her career, she has completed many additional qualification courses from OISE, Laurentian and Nipissing University. Her interest in healthcare began when she worked as an educator with many families in local communities. Danielle enjoys curling, golfing, cross-country skiing, playing bridge and weaving. She resides in Iroquois Falls with her husband. They have four sons and three grand-children and they enjoy spending time together at their family cottage. Patricia Dorff was born in Moosonee and was registered in Moose Factory. Since her father worked for the ONR, the family lived mostly on the north line (Cochrane to Moosonee). Pat attended school in Fraserdale at the Abitibi Canyon and moved to Cochrane in 1959. She was married for 38 years and has one son who is married and the father of twin girls. Pat was a stay at home Mom until 1973 when she accepted a part-time dietary position at Lady Minto Hospital. This was only supposed to be for the summer but fifteen years later, she became the Director of Environmental Services which started out with housekeeping and laundry then maintenance was added to her portfolio a few years later. She was one of the first directors to travel once the organization became MICs. Pat retired in June of 2001 after a 38-year career. 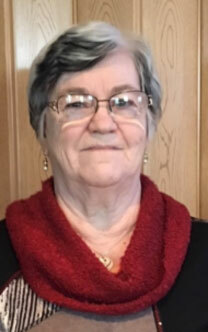 She is currently the Lady Minto Hospital Board Chair, member of the Lady Minto Hospital Auxiliary, Treasurer for the Ininew Friendship Centre and the Secretary for DARE – OPP Northeast Board. Pat is still the precept and mark for the Laundry and Linen course which she wrote and updates regularly. She was also instrumental in getting a Skate Board Park for Cochrane.